Based on original research conducted by the author over the past twenty years, this book is a definitive investigation of enduring change. Hundreds of therapists and change agents, in addition to a diverse group of people who have self-initiated experiences, or structured therapy, have been interviewed about their most dramatic growth and the factors that contributed to making their changes last. 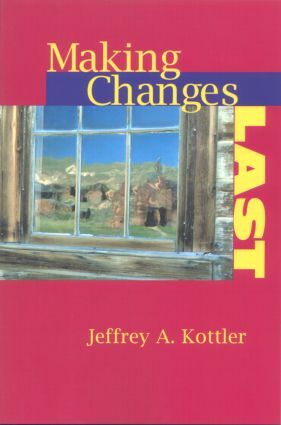 Written for helping and leadership professionals, as well as the public, this book will give readers the knowledge and tools they need to understand the mechanisms and processes of lasting change. 1. What Do We Really Understand About Change?